In 1987, Beina Xu’s newly immigrated parents totaled their Toyota Corolla in a roadside ditch in Rochester, NY. She was a baby in China then. An old Italian couple was the first on the scene; Jean and Frank Basta, lifelong residents of Dansville, revived her parents with shelter, food, and another car. Since then, the Bastas have been a second family—and Rochester a separate homeland, tethered to their lives by that near-fatal swerve. But there is no archival record of this defining moment in their family history. 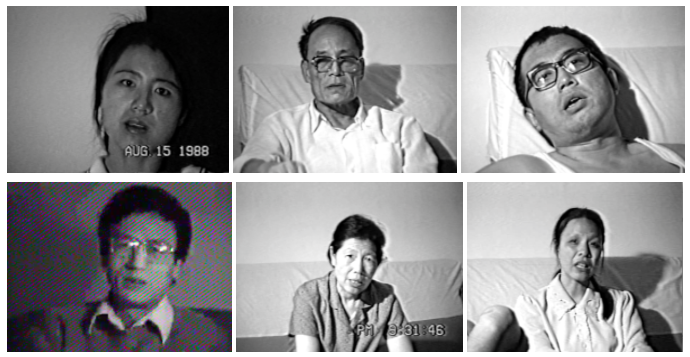 So: Xu wants to create one, weaving their own VHS tapes with found footage from the VSW Film Archive—layering a real narrative with “false” artifacts, reconstructing an architecture of memory. By re-sculpting the sensorial landscape of that moment, pregnant with the potential for tragedy, Xu challenges the process and the tools we use for constructing personal and collective histories. Born in Beijing and raised in the United States, Beina Xu is a visual anthropologist, writer, and filmmaker based in Berlin. Her work is predominantly concerned with the role of archival material within historiography and narrative construction, as well as memory and migration.